Are you a blogger following strict content schedules? Do you use a Blog Posts social scheduling plugin (like TweetBoostPRO) to get your words to go viral on social media? Are your blog topic ideas imposing? A dominant presence on social media is directly correlated with better search rankings. Top rankings are correlated to LinkedIn, FB, Twitter, and Pinterest shares. On average, the content length of the top 10 organic results is higher than 2K words. I’m not covering technical SEO optimization area in this post, but this post by Neil Patel will give you a fair idea for major on-site improvement. This post will cover the second area in detail. Let’s start! Google’s representatives are always smart when answering on public platforms and don’t make “to-the-point” responses related to their search algorithms. But we can extrapolate based upon recent major studies and surveys taken by industry experts. 1) SEM Rush reviewed a high volume of web pages and concluded that the web page ranked in the 2nd position has 10K more referring domains than a web page ranked in the 10th spot. 3) In 2016, Brian Dean analyzed one million search results and found the correlation between the number of referring domains and Google rankings. Without amazing content, you’ll never be able to earn links. And without acquiring powerful links, you won’t get your spot on Google’s first page. Looking at the SiteProNews platform, I can see the success pillars of this blog: great in-depth content and the natural links earned to those awesome guides. Generating amazing content is the first requisite of any blog in any niche. That’s why blogs allowing guest contributors focus heavily on the editorial process. I am aware of cheap linking services available at Fiverr, Freelancer, and Upwork. In fact, I used to hire them to get 100s of forum profile, blog comment, and bookmarking links. But I stopped using this non-sense service five years ago. These links do not matter. Sometimes, it’s hard to say NO to them, especially, when a freelancer claims he can get you EDU or GOV links, at a really low rate. But your Blog link placed on these sites doesn’t get you any visits or conversion. What’s the benefit of buying them? There isn’t any. Also, submission to general web directories (believe me, they can be toxic elements in your link profile), social bookmarks, profile links, forum signatures, link exchanges, and reciprocal ones are old school SEO tricks which do not work anymore. Google’s modern algorithms are smart enough to catch these sneaky link practices, and you can’t afford the shoddy outcomes. I tried to outline some weird unnatural linking examples earlier here. Is this website and web page specifically, ranking well in Google? Maybe not this time, but can it perform well in the near future? Will this link add value to the page and readers? c. Can I get some real visits from this particular link? It shouldn’t cost me bounce backs. This sort of pre-link-building analysis will save you time and effort and help you avoid less than stellar resources. I always listen to my friend’s (Richard Barker) advice in designing and implementing impactful link campaigns, and he says – “Be very selective and never be in a hurry when it comes to building real links. At the end of the day, creativity with quality will always win”. When I recommend Guest Blogging as one of the concrete ways to build real links, I’m not referring to blogs which were built only to have guest posts. Do a Google search for queries like Branding “write for us”, or Business “write for us”. You’ll see plenty of blogs where every other post is by another guest blogger. Guest Blogging can be a vague trick to get easy backlinks without adding expected link value. Everybody is out chasing Guest Post links, and this opened up a new area for SEO guys to monetize. They’ve been building their PBN network, and brands (who do not understand SEO) seem to buy PBN links despite having the same IP, blog theme, same pattern, and no real audience. I have gone through all this in the past, and random guest post campaigns did cost me negatively for this agency website. I wish I could have applied link diversity at that time. The results would have been very different. 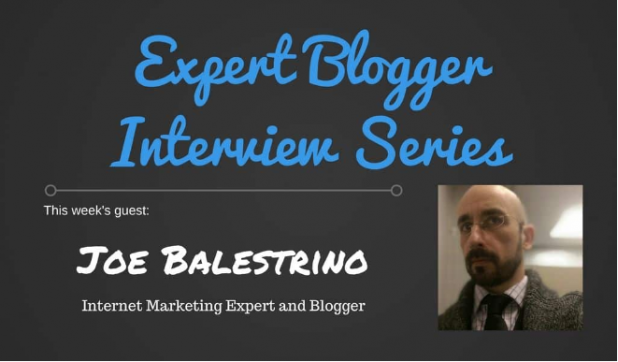 Leaders like Joe Balestrino don’t count every website in their list. I read Joe’s columns on Search Engine Journal, Personal Branding Blog, and 4PointDigital and he loves to be interviewed rather than participating in a guest column. Joe’s approach takes me to the next phase in this list – Interviews. Many bloggers, SEO guys and entrepreneur magazines publish regular expert interviews on their sites. I’m aware of Melinda Emerson’s #Smallbizchat Twitter program, The Asian Entrepreneur’s Callum Connect Series, IdeaMensch Interview, and Mixergy’s entrepreneur interview podcasts. 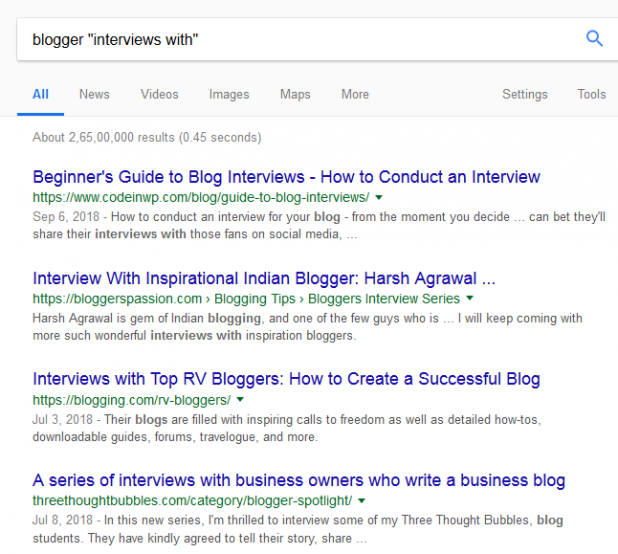 At the times when you are so busy with generating guest post content and infographics for very authoritative websites, going for an interview and answering hardly 10 to 15 questions online can bring you a couple of editorial links to your blog and social profiles. Expert roundup posts are another hot trend in the blogging sphere. You can take a seat and give your opinion on the asked questions. The moderator accepts your answer, and you’ll get a link. It’s that simple! But how can you be aware of such possible future round-ups? It’s not that easy. You need to be in touch with other bloggers, influencers, and bloggers who regularly do roundup posts. Also, subscribe to the MyBlogU application. It will be a big help. Minuca Elena is a roundup posts star. I’ve been a part of one of her roundup posts published at DA>50 blogs. I’m not sure, but if you pitch her, she can keep you informed about her coming posts. You can get cited. Search for similar professionals in your industry and make a connection with them. To get cited as the information source with probable link backs, HARO is a great tool. It is a platform where a lot of journalists come to get citations for their stories. You need to subscribe to them as a source for reporters to use in their coming stories, and quickly respond when they come to you. This suggestion will not be in the budget for most of you, especially if you are a small blog with a limited budget. It works best for corporate blogs that need to spread the word about their products or services. I would rather count niche based bloggers and influencers in this list. Search for Shopify review, Weebly review, or SITE123 reviews; you’ll see tons of blog posts written about them. This was their marketing attempt, and they paid bloggers for these reviews. Let’s see an example – A PR guy can’t get an editorial link from Neil Patel’s blog. Neil doesn’t allow anyone to write a guest column on his personal blog, so it’s nearly impossible to get one. But the guy I’m talking about is a friend of Neil’s. And Neil mentioned him in his recent post along with offering him a do follow link. It’s all about connections. Isn’t it? Established bloggers do have connections. Thus, they seem to earn links naturally from friends and fellow bloggers. If you are pretty new to blogging, you should build a rooted relationship with other bloggers. Social media, personalized emails, blogging platforms, and blog post comments will allow you to get interactive with each other. Introductory messages on social media can lead to a business relationship later on. Syndicating your content is one of the easiest ways to earn links from powerful domains. Business 2 Community, Medium, and LinkedIn Pulse allow content syndication. What I most like about this is – It doesn’t take much time. You’ll start seeing new backlinks in your Google’s referring domains list quickly. When you hit a new blog post, third-party websites can publish your post on their blog, pointing a link to the original source. I see it on every other blog for infographic posts specifically. 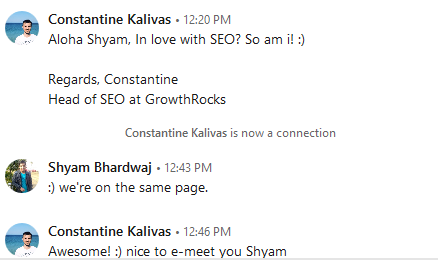 Regularly checking link profiles of your competitor blogs will reveal hidden link building gems. It might be a resource link, a highly related niche-based directory, a guest post opportunity or even a syndication resource. When you follow and check the profile of a star blogger, you’ll find something worth following and worth repeating. You will need link explorer applications in this phase. MOZ’s Link Explorer, SEM Rush, Ahrefs, Monitor Backlinks, and Link Assistant Pack are some of the accurate tools in this list. When you see where their links are coming from, this can give you an idea of where you should be looking too. Getting links from the same sites can help you compete in the search engines, but beyond that, can expose you to similar audiences of potential customers. You are reaching out to a guy you don’t know personally, but what if that guy already knows you? Half of your work will already be done in that case. And your success rate? Becomes 3x. You need to become recognizable that way. Your outreach results, link reclamation, and guest posting chances will become substantially higher. You also need to have tons of evergreen content that people might like to link to from their content. A Post like ‘2017 Web Designs Trends’ would barely get any attention in 2018 and beyond. That’s not an evergreen piece. This post from Genie Recycling is precisely the type of content I’m pointing out here. This will perform well socially and organically even five years later. Once you’ve prepared power pages on your Blog, market them strategically. Go over all social, search and usability signals to rank these posts incredibly well in Google. This will automatically bring natural inbound links to these posts from diverse sources. Links from different regions, different extensions, on varied anchors – This is the phase where you don’t need to do your own Link Building. You’ll frequently get natural links without putting in any effort. Your blog’s link profile won’t improve magically overnight. It will take time (months or years) to build a reputation on the web. And that’s fine. Every successful blogger has gone through this. Be patient, persistent, learn from senior bloggers’ SEO sins, and you’ll be fine, eventually getting the results you want. What’s working for you? What is your primary source for getting backlinks? I would love to hear your winning strategies! Shyam Bhardwaj is the senior SEO advisor at SEO Vancouver Pros who work directly with SMEs and eCommerce managers to increase their revenue. Shyam helps small business owners emphasis on main business functions, without having to worry about marketing. The post Getting Juicy Link Love for Your Blog – 8 Solid Ways to Get Spot on Powerful Pages appeared first on SiteProNews.